In my 28+ years in St. Louis I’ve been in many buildings that interest me. 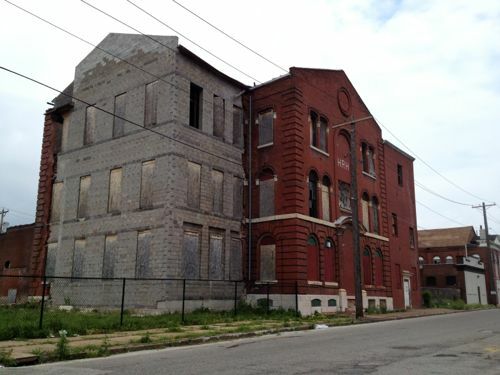 One I haven’t seen inside of is the St. Louis State Hospital on Arsenal. It and the grounds have changed considerably in my decades here. 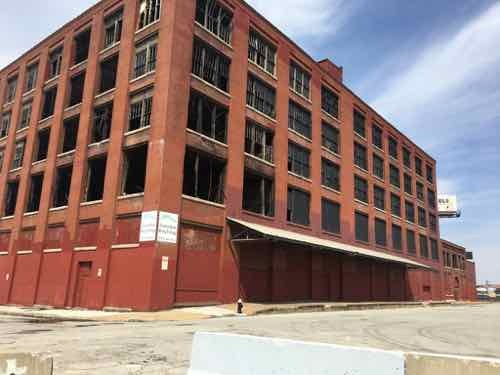 While the St. Louis State Hospital dome has loomed over the St. Louis skyline for 150 years, the goings-on behind the closed doors of this mysterious complex of South City buildings has been the subject of speculation and curiosity for generations. This fascinating book takes readers beyond the gates on Arsenal and into an institution’s unique history. It was through those gates in 1869 that 127 patients suffering from mental illnesses would pass to seek recovery through compassionate care. 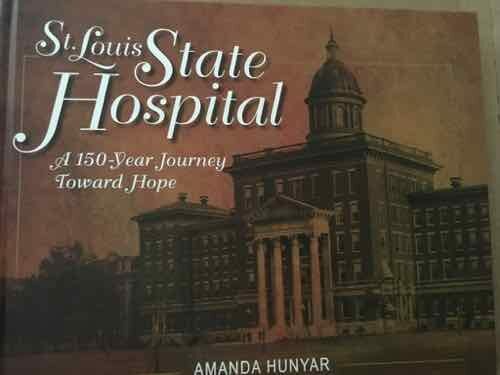 This richly illustrated volume presents their stories through a timeline of the hospital’s history and gives an understanding of what life was like for these vulnerable, often poor and disenfranchised patients. 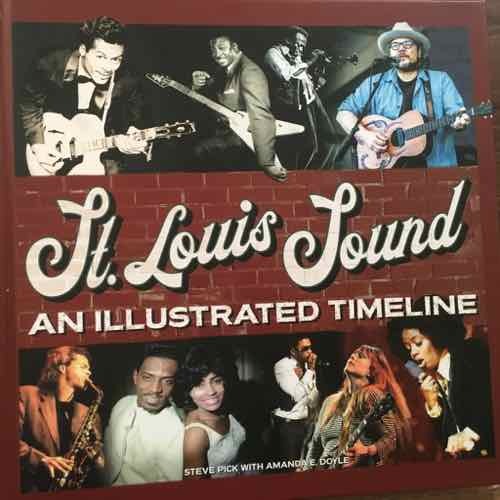 Included are photos and anecdotes of weekly dances in the fifth-floor ballroom, card game parties, and long walks to newly opened Tower Grove Park. Straight from the carefully curated archives are the records of traditional lobotomies, experimental drug therapies, and electric shock—all prevalent treatments of their time. This new book is by Amanda Hunyar. I’ve loved flipping through the photo-filled pages. As previously posted, we moved to the Columbus Square neighborhood at the end of December. Since I’ve been looking into the history of the neighborhood, a challenge since much of the pre-WWII structures have been razed and replaced. 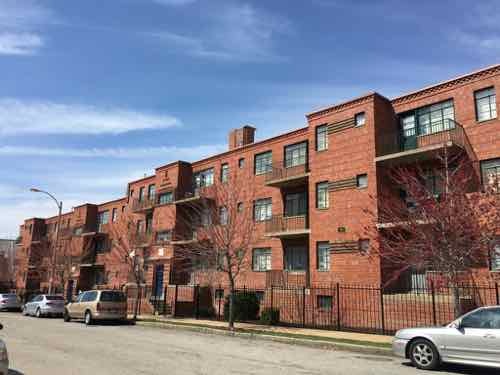 Today’s post is an introduction to the four properties within the neighborhood boundaries that are listed on the National Register of Historic Places. These are listed below in the order they were added to the register, the date is shown at the end. The text for each is from their nomination to the register, click heading for each to view PDF (files are very large). The Shrine of St. Joseph is important to St. Louis as a building of great aesthetic value and as a monument to the Jesuits and their powerful role in the history of the Archdiocese· and the City of St. Louis. 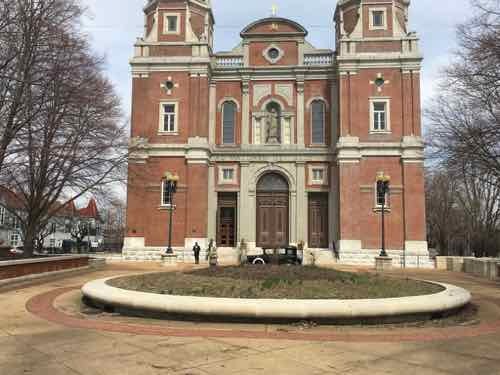 Of the churches built in Baroque revival style, St. Joseph’s is one of two remaining in St. Louis. Neo-Baroque, popular with the Jesuits throughout the nation during the nineteenth century, had origins in the Tridentine Catholicism of the Counter Reformation. In the 16th and 17th centuries the Church introduced a series of reforms that stressed the parish, regular Sunday attendance at Mass, an increased number of devotional activities, the creation of lay confraternities, and so on. Revived in the mid-1800’s this style of worship sunk deep roots in the urban neighborhoods of German and Irish Immigrants. It was the religion of three generations of American Catholics. The parish of St. Joseph’s, established in 1845 for the German-speaking Catholics of the near north side, grew out of a small immigrant community who settled near St. Louis University and worshipped at St. Aloysius Chapel, the College Hall of the Jesuit University. These newcomers were among the first arrivals of massive waves of European immigrants who would transform a steamboat town of around 16,000 in 1840 into a cosmopolitan commercial center with a population of 160,000 by the outbreak of the Civil War. The cornerstone of the Roman Catholic Church of St. Joseph’s was set by Bishop Kenrick of St. Louis on April 14, 1844 on land donated by Anne Mullanphy Biddle, daughter of John Mullanphy and widow of Major Thomas Biddle. “…a great concourse of people, including the Hibernians, came for the cornerstone laying…” The church was completed by a volunteer labor force made up of parishioners. On the fourth of August of 1846, Father James van de Velde, S.J., later Bishop of Chicago, dedicated the building. Immediately, the parish became the center of the community. Schools and an orphanage were established for the young and the Jesuits turned their attention to intense missionary work. In 1846 the Bureau for German Immigration was organized by Father Hafbauer, S.J. in order to attract immigrating Germans to Missouri’s Jesuit settlements. Father Seisel, S.J. served as editor of ”Herald des Glaubens”, St. Louis’ first German Catholic paper. Three parishioners organized the parent organization of the nationally important German Roman Catholic Central Society (Katholische Central Verein) in 18540 Another school, the first St. Louis installation of the Sisters of Notre Dame, was sponsored that same year. The Neighborhood Gardens Apartments located on City Block 558 (bounded by O’Fallon, North 7th, Biddle and North 8th Streets) near downtown St. Louis qualifies for listing in the National Register of Historic Places under Criteria A and C and is eligible under the following areas of significance: ARCHITECTURE: Completed in 1935 from plans drawn by the St. Louis firm of Hoener, Baum & Froese, Neighborhood Gardens is an excellent example of Modernistic domestic architecture. Although knowledgeable in the latest developments of International Style European housing projects, the designers and client chose materials associated with the fine local brick vernacular traditions. It is the imaginative handling of this brickwork combined with a thoughtful site plan and skillful layout of the apartments which give the project a durable distinction even more evident today than when it was constructed. COMMUNITY PLANNING: Neighborhood Gardens is a testimony to the dedica tion of a Settlement House’s efforts to demonstrate that low-rent housing could be well- designed and financially sound. The Association’s commitment to excellence is reflected in the Board’s support for a study of exemplars in Europe as well as financial contributions to assure that the project would be built. 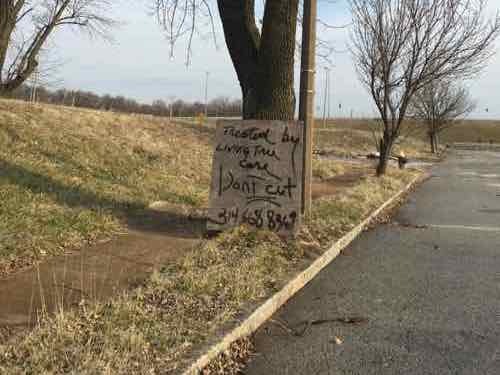 Dedicated to the premise that physical environment influences behavior, the Association was a pioneer in the attempts to rebuild American inner cities. The Sligo Iron Store Co. complex is located just north of downtown St. Louis, Missouri on a triangular shaped parcel of land bordered on the south by O’Fallon Street, on the west by N. 7th Street, and on the north and east by Interstate 70 (formerly N 6th Street). Constructed primarily between 1902 to c. 1940, the Sligo Iron Store Co. complex is comprised of five buildings, four of which are contributing. The contributing buildings include all buildings historically associated with Sligo: five-story Main Office and Warehouse (1906), two-story Garage (1903 with 1923 alterations) and its one-story addition (c. 1940), two-story Machine Shop (1902 with c. 1917 alterations), and the five-story 7th Street Warehouse (1911). While constructed over a 40-year period, the contributing buildings share a common vocabulary of building materials and represent the prototypical construction techniques common in the early 20′ century. In 1959, a 2-story functionally unrelated Sporting Goods Factory was constructed to the north and that building was subsequently incorporated into the Sligo parcel. The Sporting Goods Factory is non-contributing due to its date and its construction for a functionally unrelated use. 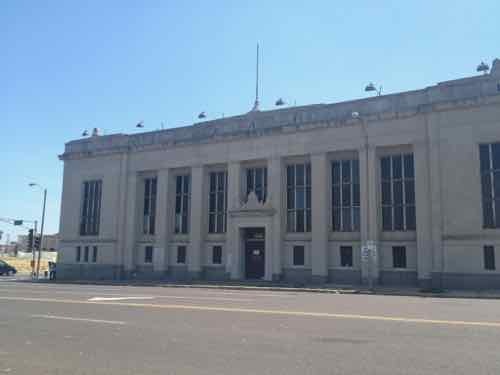 Constructed in 1927, the Cass Bank and Trust Building at 1450 N. 13th Street, St. Louis (Independent City), is a two-story Neo-Classical Revival style building sheathed in smooth limestone with a granite veneer base. On the primary (west) façade, monumentality is clearly emphasized by a dominating colonnade of eight squared Tuscan columns supporting a minimally embellished entablature. Recessed between the columns are large metal nine-light windows. Centered in the colonnade is a slightly projecting entrance topped by a cornice and elaborate crown featuring stylized stone eagles. The entablature consists of a plain architrave, frieze with bas relief medallions and a cornice lined with cylindrical guttae. The colonnade is flanked by two slightly projecting end blocks with tripartite division. The base contains three centrally grouped metal windows with a large twelve-light metal window in the shaft. The entablature is similar to that in the colonnade but with a more decorative frieze. In 1964, the bank constructed a raised concrete and brick addition for offices and drive-thru lanes. The upper two stories have inset bands of tall, narrow windows set in limestone surrounds. Though the addition is a modern design, the building’s two primary decorative elevations and the interior banking hall with its elaborately chamfered ceiling, classical plaster relief work and its colossal Corinthian columns are essentially unaltered since its date of construction. Future posts will expand on each of these four. Top o’ the mornin’ to ya. I knew the recent non-scientific Sunday Poll was going to have a low response, the more controversial the subject, the more responses. Q: Agree or disagree: Irishman Saint Patrick is celebrated today for bringing Christianity to Ireland, driving out snakes. This reminds me of grade school in the early 70s, cutting shamrocks out of green construction paper, etc. We were taught myths that just aren’t accurate — including the color green! Myth: St. Patrick was Irish. Though one of Ireland’s patron saints, Patrick was born in what is now England, Scotland or Wales—interpretations vary widely—to a Christian deacon and his wife, probably around the year 390. According to the traditional narrative, at 16 he was enslaved by Irish raiders who attacked his home; they transported him to Ireland and held him captive there for six years. Patrick later fled to England, where he received religious instruction before returning to Ireland to serve as a missionary. Myth: St. Patrick was British. Myth: St. Patrick brought Christianity to Ireland. Myth: St. Patrick banished snakes from the Emerald Isle. Myth: Green has historically been associated with St. Patrick’s Day. Myth: Popular St. Patrick’s Day festivities have their roots in Ireland. Myth: Corned beef is a classic St. Patrick’s Day dish. You can click the link above to read the debunking of each myth. Sounds similar today’s anti-immigration rhetoric. 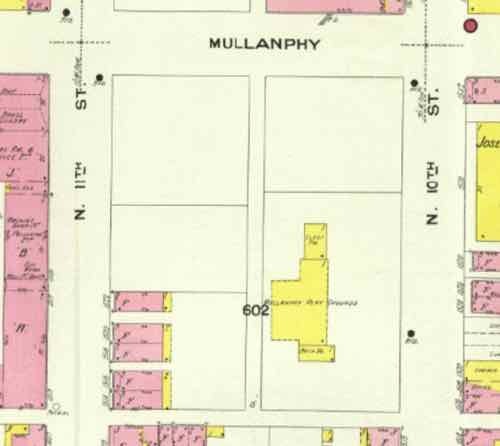 The money to build the Mullaphy Emigrant Home on N 13th was left by Bryan Mullanphy, the son of Irish immigrant John Mullanphy. 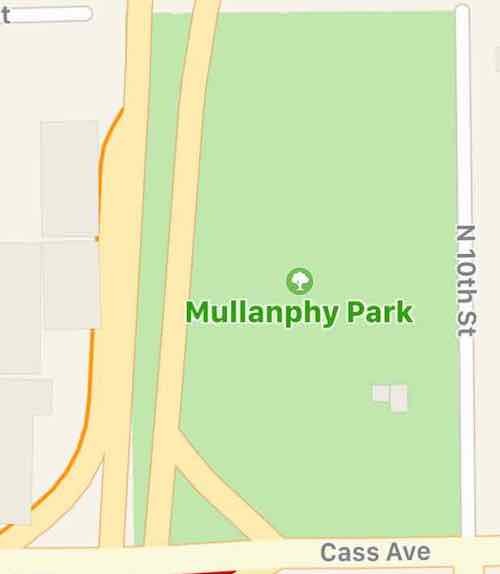 Bryan Mullanphy was mayor in the 1840s. The neighborhood’s boundaries shifted over time—Irish families moved farther west, as German, Polish, and Eastern European immigrants settled around them after the Civil War. 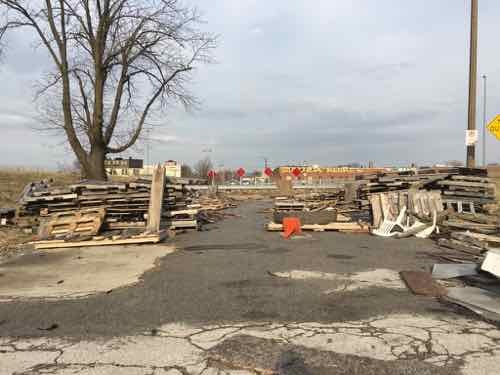 But during its heyday, the Patch was generally described as being between N. 15th Street and Hogan Street, Division Street and Cass Avenue. 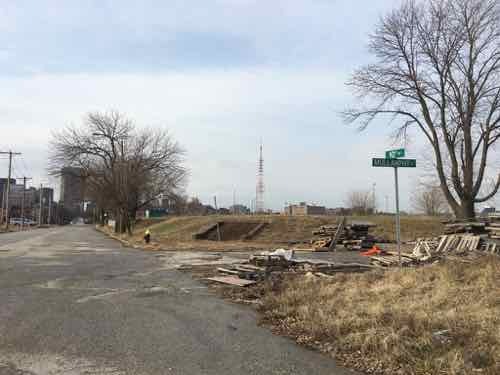 The heart of the neighborhood was squeezed into the tight rectangle between 16th and 18th streets, Cass Avenue and O’Fallon Street—a few blocks east of St. Stanislaus Kostka Church in near north St. Louis. 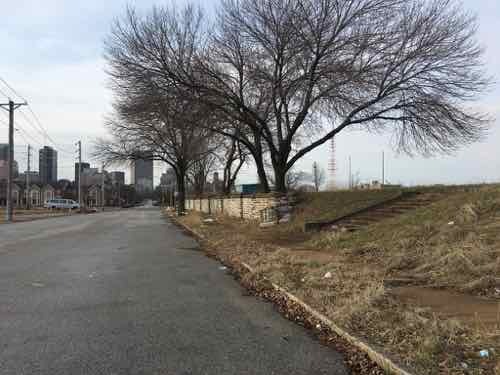 Once Irish neighborhoods were razed for public housing projects: Cochran Gardens, Carr Square, and Pruitt-Igoe.